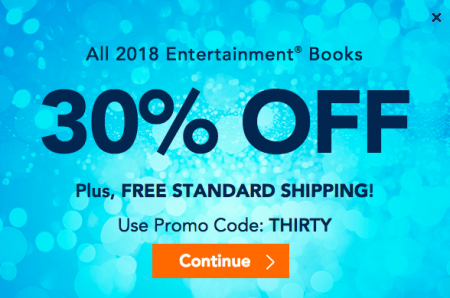 Entertainment.com is offering 30% off all 2018 Entertainment Coupon Books+ Free Shipping when you enter the promo code THIRTY at checkout. I’ve tested the code and can verify it works. The sale is available online-only from January 9-15, 2018 so don’t miss out! Note: Prices on Entertainment.com are in USD. The Entertainment Book is widely recognised as the best coupon book on the market. Their books save consumers money on restaurants, shopping, services, movie tickets, car care, local attractions, hotels, travel, groceries and more! There are 126 local Entertainment editions, covering every major city throughout Canada and the US.